Explore the range and get some fresh inspiration and ideas for planting displays in your garden this year. 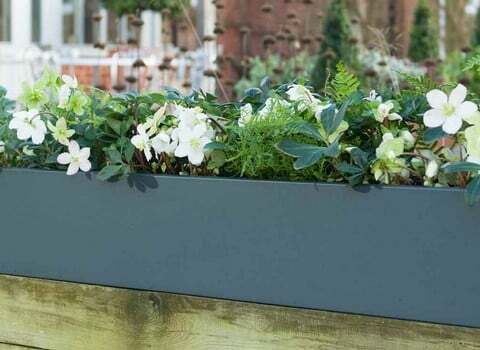 Our range of garden planters and containers includes our popular Wooden Trough Planters perfect for growing your own vegetables, salads and herbs even if space is at a premium. 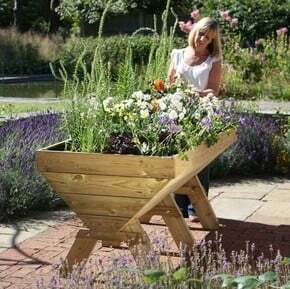 With these attractive and practical raised planters you can now create your own organic vegetable garden on the patio or balcony. 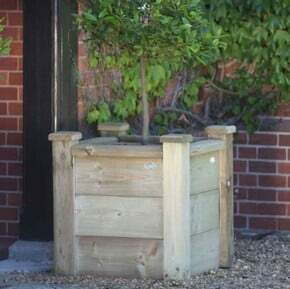 Along with our Wooden Manger Trough Planters we have a wide range of decorative planters perfect for summer floral displays or specimen trees and plants. With Zinc galvanised planters, clayfibre pots, large ironstone pots and traditional terracotta planters, there is bound to be the perfect planter for your patio. 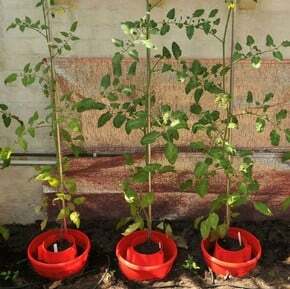 There are so many advantages to container gardening; watering, fertilising and access are made easier, whilst there will be fewer pests, diseases and weeds to worry about too. 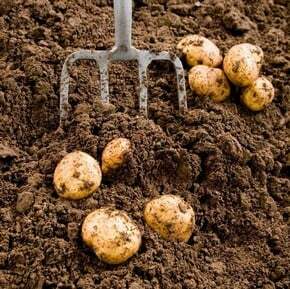 As for the choice of what to grow - well, take your pick from tomatoes, peppers, potatoes, cucumbers, lettuces, beans and even potatoes, or create a stunning floral display to brighten your patio or deck trhoughout the summer. So find a sunny spot, create a mix of plants for the huge variety of garden planters and containers we've got available and you’ll be on your way to achieving a great look and taste that lasts all season long!